Cinta and some of the volunteers (including me!) were invited to a concert at the Hyatt the other day. 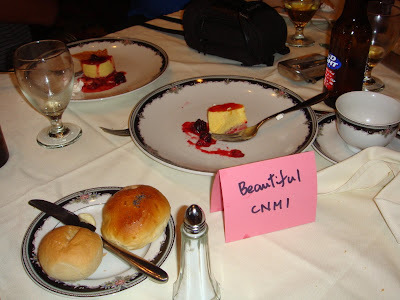 The name placard on the table read "Beautiful CNMI." Does that mean we're done beautifying? The next volunteer cleanup in July 20 at the Koblerville substation at 8 AM.